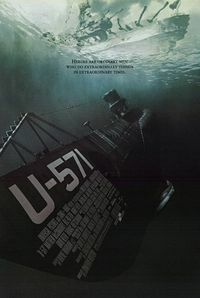 One of my favorite movies is U-571 starring Matthew McConaughey. In the movie, a German submarine is boarded by disguised American submariners seeking to capture its Enigma cipher machine. Once the seasoned skipper dies, McConaughey is forced to assume control. He is young, inexperienced, and scared as their submarine is under severe attack. The seasoned maintenance chief is watching these events unfold. After seeing the defeat in McConaughey’s eyes and hearing his reply to the young sailors, he pulls him to the side. He explains, in a rather forceful manner, that McConaughey is now in charge and that these young kids are depending on him. He is the skipper, and as the skipper he has to know what to do. Not knowing isn’t an option, especially in the heat of battle. After this pep talk McConaughey gathers himself and leads the young sailors through to victory. If you are a leader of people, and let’s face it, most of us are in some way (at work, home, school, church, etc.) I believe there is simple lesson to be learned from this scene. When the going gets tough, someone must step up and assume control with a focused confidence. Why shouldn’t it be you?